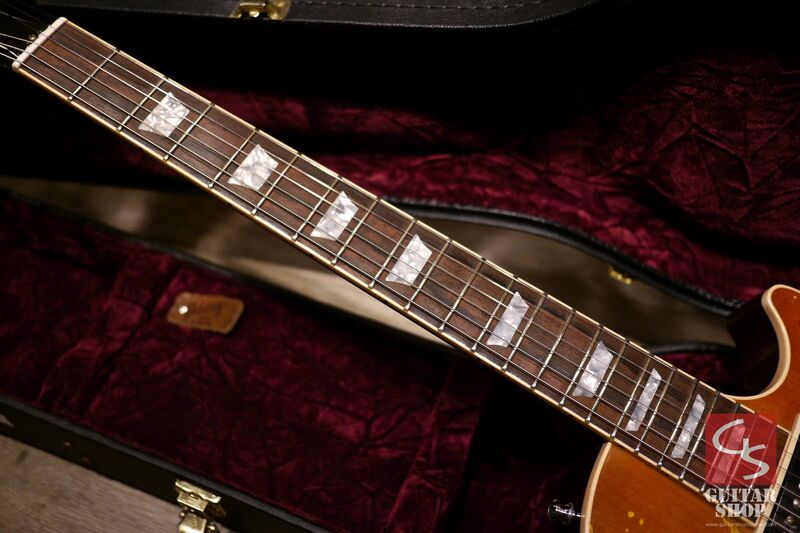 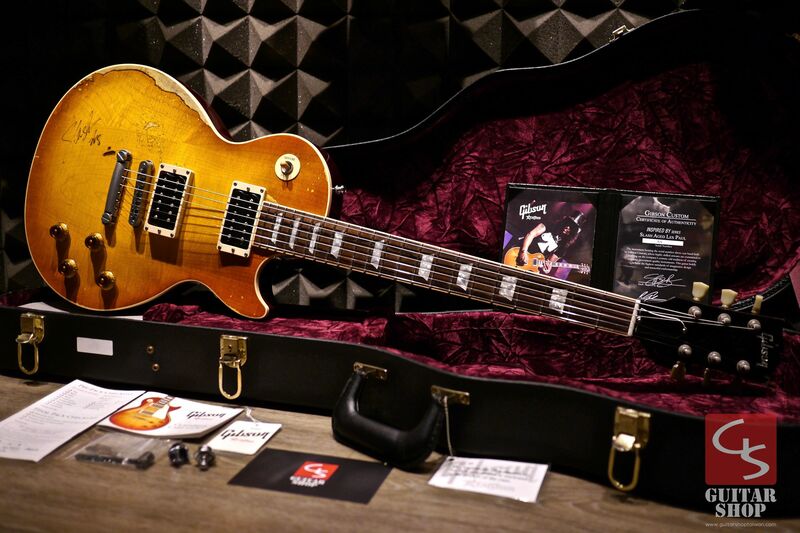 2008 Gibson Custom Shop Inspired by Slash Les Paul Tom Murphy Aged, only 100 in the run! 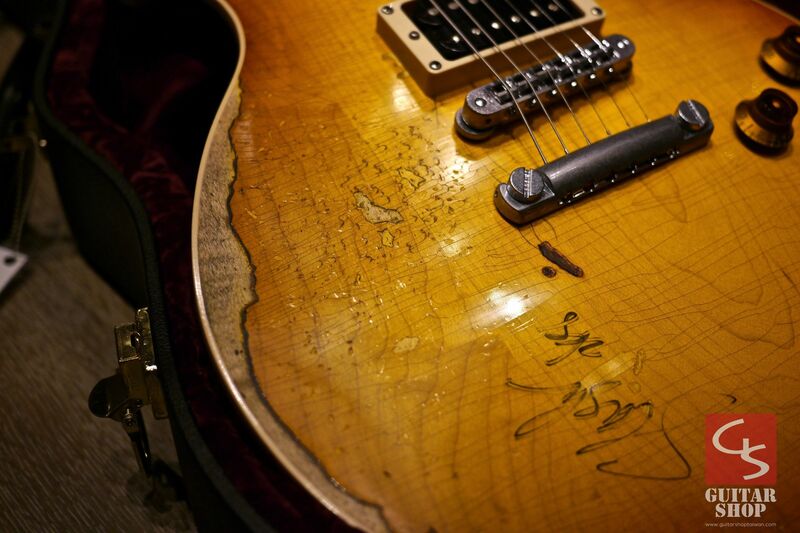 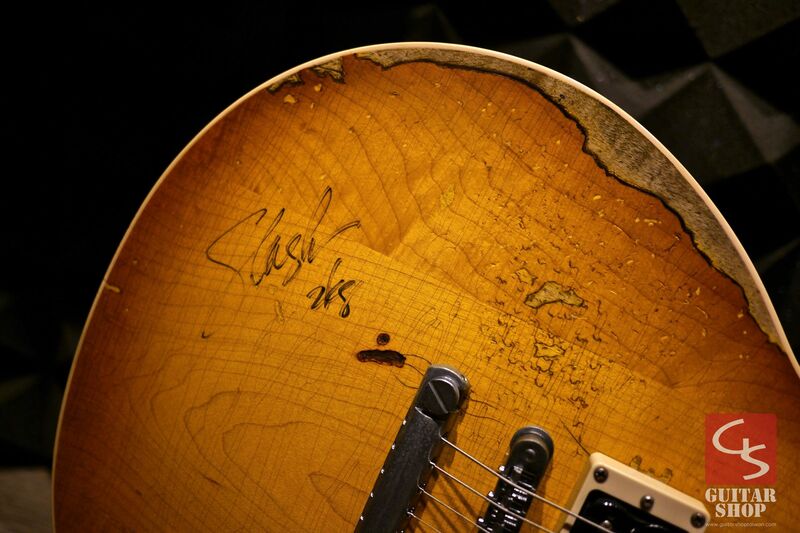 this guitar has a signature by Slash in 2008, super rare! 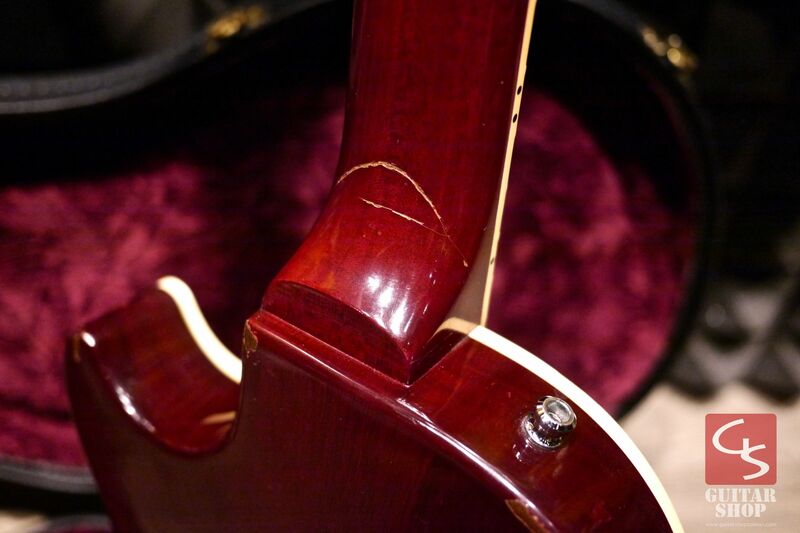 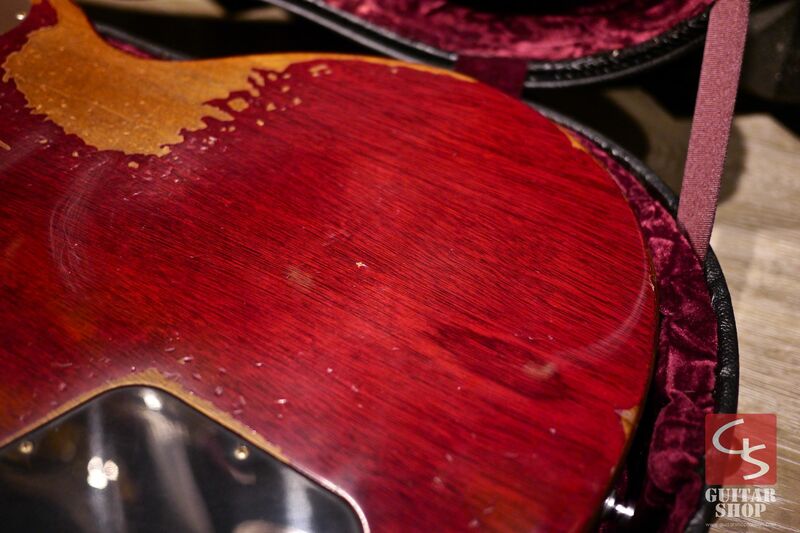 Guitar is in excellent condition, like new. Don't miss out on this such a great guitar! 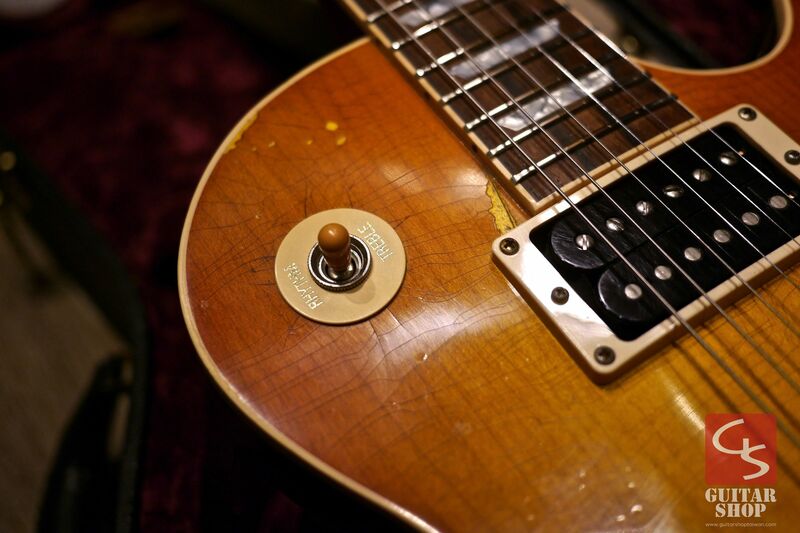 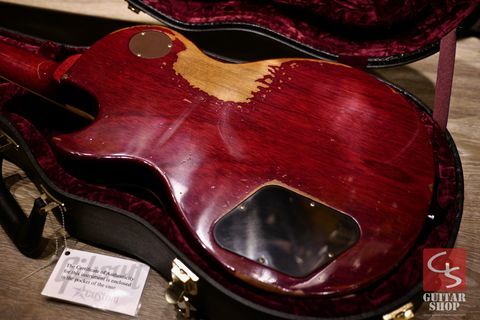 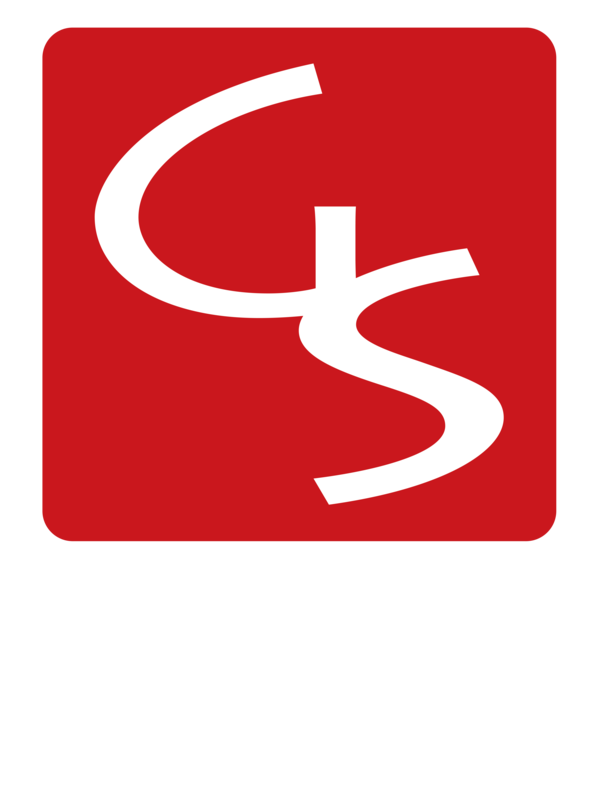 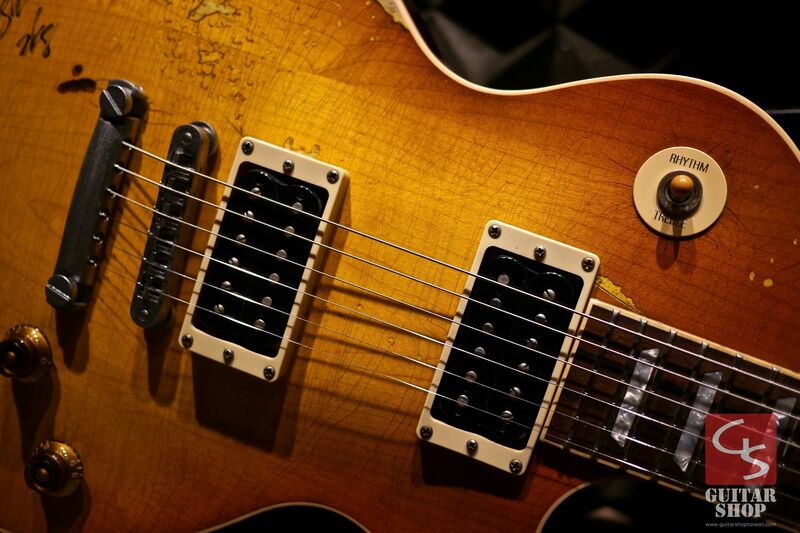 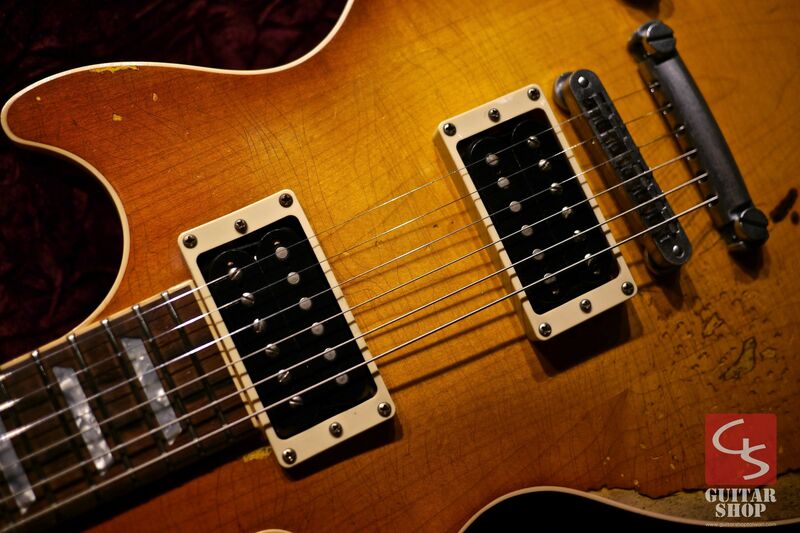 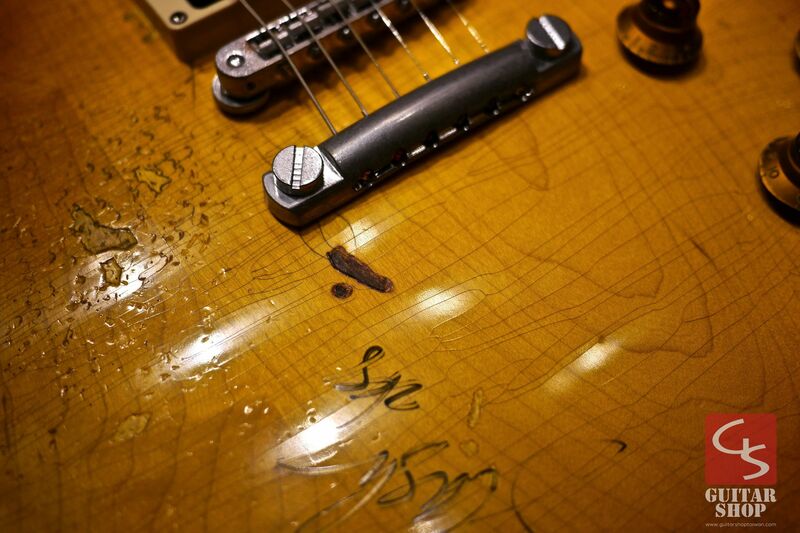 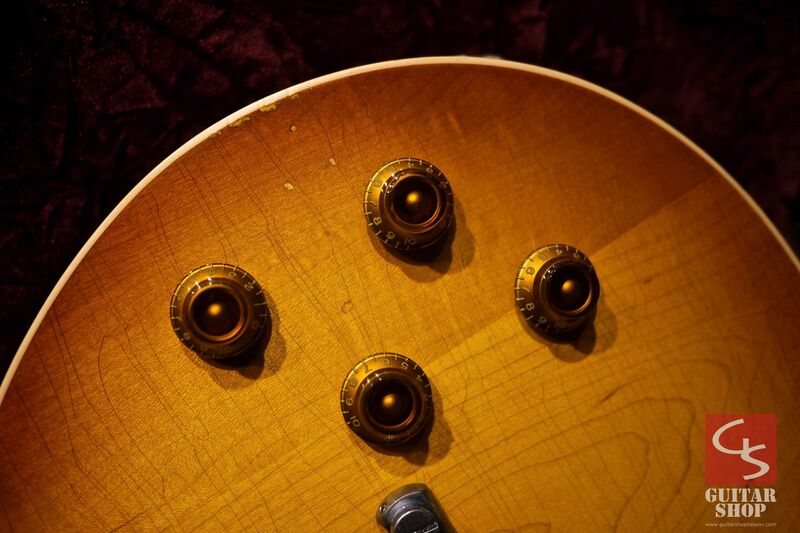 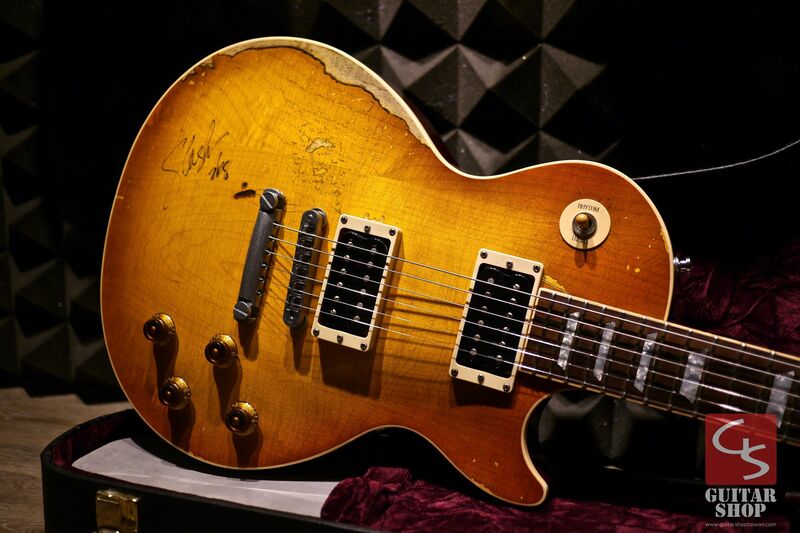 Gibson Custom Shop’s Inspired By Slash Les Paul Standard restores Slash’s No. 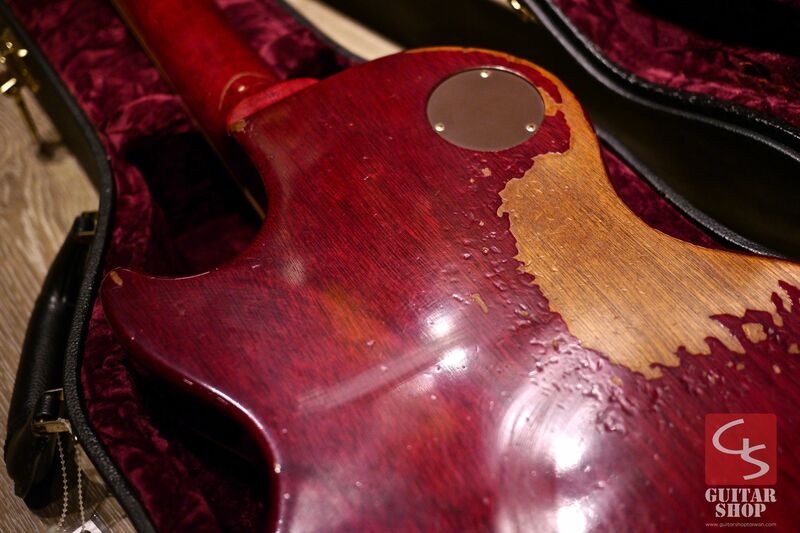 1 guitar—one of two Les Pauls he received from Gibson in 1988—to the way it was just before he used it to make musical history. “This is the replica of the original 1988 Les Paul I had before I beat the hell out of it,” Slash says. 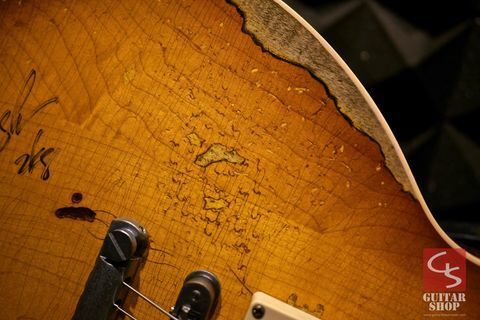 “It’s sort of a trip for me to see it because it looks actually like the guitar after I had it refinished in 1988. 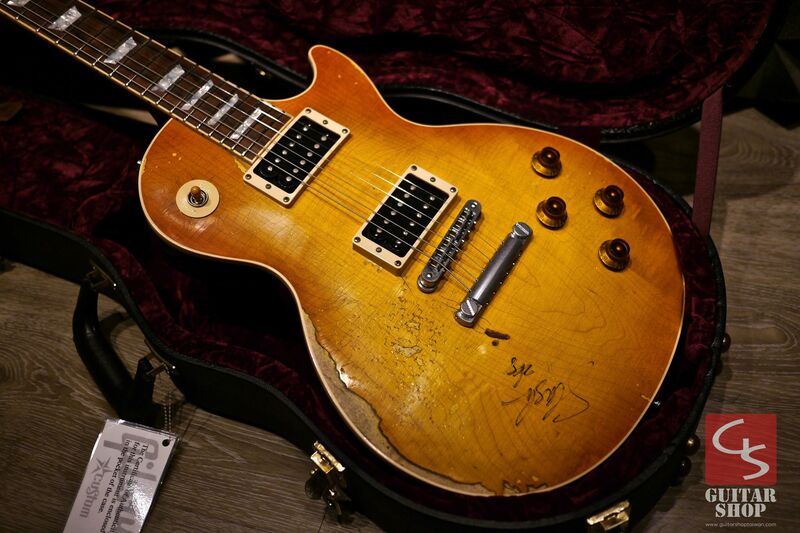 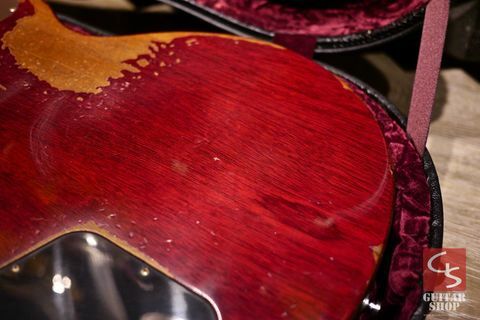 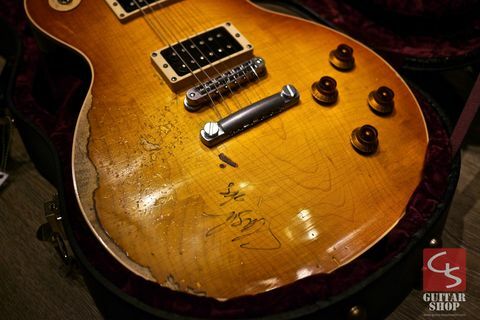 This is what it looked like when it was brand new.” Slash’s beloved Les Paul made its debut on the lengthy tour to support Guns N’ Roses’ seminal first album Appetite for Destruction. 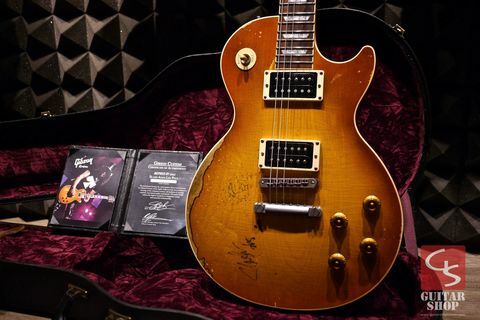 The two-year tour began in clubs and small theaters and ended in stadiums, and at every stop Slash used his Les Paul to redefine the role of guitar hero and reintroduce hard rock to its raw and rebellious roots. 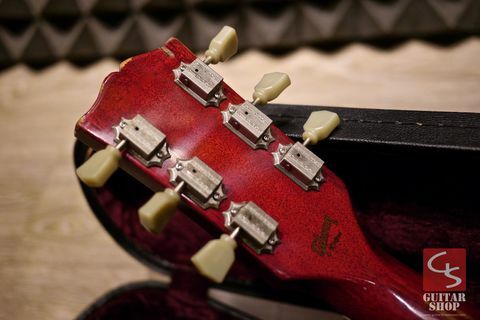 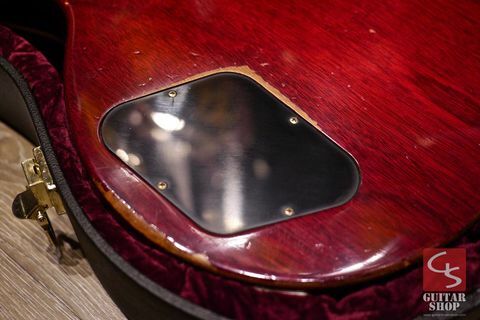 With a pair of Seymour Duncan Alnico II Pro pickups and the gentle aging of Gibson Custom’s Vintage Original Spec series, one of the most legendary guitars of all time has been restored to its original glory, complete with a Heritage Cherry Sunburst finish, faded to perfection. 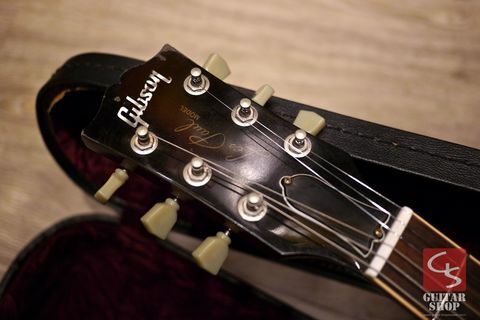 Crafted of the finest woods, the guitar is made of a carved maple top, one-piece mahogany back, and rosewood fingerboard. 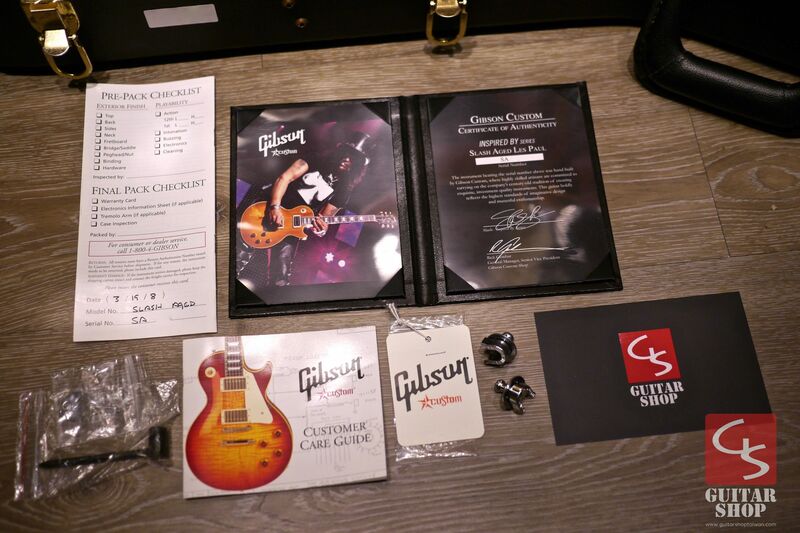 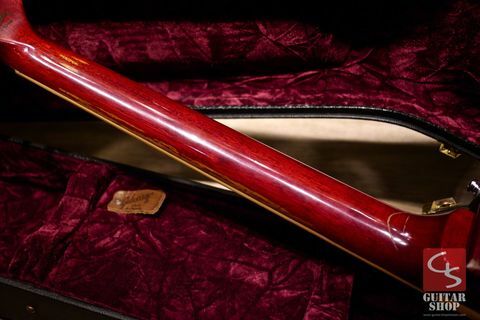 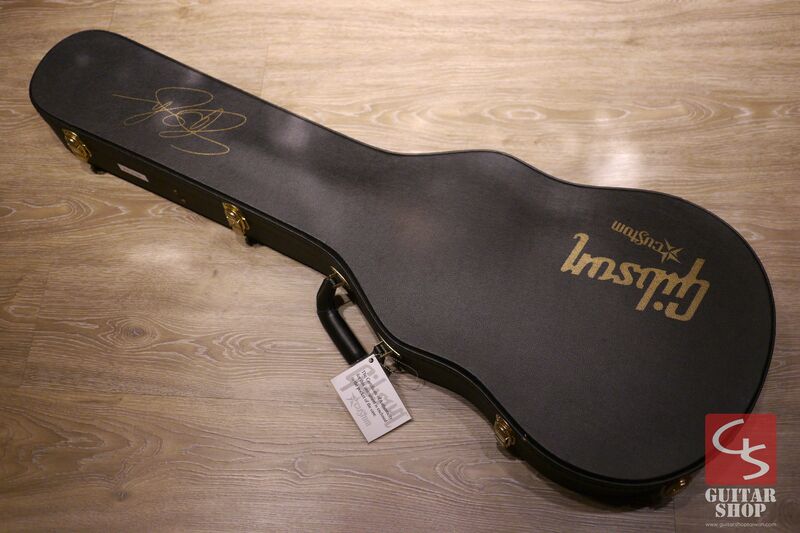 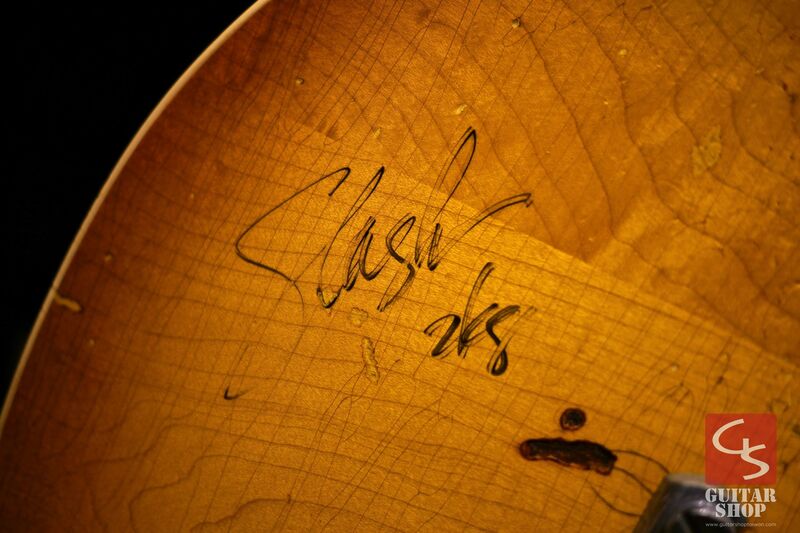 Each Inspired By Slash comes with a Gibson Custom Shop case and Certificate of Authenticity.